It only makes sense that your oral hygiene would indicate your overall health. This is why it’s important to make sure you Request An Appointment with an experienced preventative care dentist every six months. If any dental issues have come up after your last appointment, be sure to discuss them with your dentist so they can come up with an effective treatment plan. Did you know that an Gahanna dentist can catch medical conditions in their early stages during your regular dental checkup? In fact, more than 120 medical conditions have symptoms that affect oral health, such as bad breath, bleeding gums, and dry mouth. In fact, the link between oral hygiene and overall health is so strong that people with periodontal (gum) disease are 40% more likely to have another heath condition than people with healthy gums. How does oral hygiene affect your health? It’s normal for there to be bacteria in your mouth. However, you’ll need to make sure you brush and floss your teeth every day in order to keep the bacteria down to a healthy level. By neglecting your oral hygiene routine, the buildup of bacteria in your mouth can cause inflammation throughout your body. Recent studies show a potential link between excessive bacteria that causes periodontal disease and cardiovascular disease, diabetes, and preterm birth. If you have recently experienced oral inflammation or infection, you may want to evaluate your other risk factors for cardiovascular disease. A professional dentist should notice any oralhealth issues during your appointment so you can be knowledgeable about your health. Patients that have had strokes, clogged arteries, and heart disease are more likely to suffer from oral infections and inflammation. If you have diabetes, you’ll want to make sure you keep tabs on your oral health by scheduling a routine appointment with your preventative care dentist. Research has shown that people with diabetes are more likely to develop gum disease, which can make it harder to keep the condition under control. Gum disease creates infection and inflammation in the oral cavity, which affects blood sugar. During pregnancy, women experience hormonal changes that can affect oral hygiene. If dental problems during pregnancy aren’t addressed, it can lead to more serious issues like periodontal disease. In severe cases, preterm birth can be triggered by oral conditions that affect the whole body. If you notice any changes in your oral health during pregnancy, you should Request An Appointment with your dentist as soon as possible. There are many ways in which our oral health can be a sign of a larger issue. If you have any dental discomfort or experience other problems with your teeth, it’s important to bring them up during your dental appointment. Your dentist can help you determine the best treatment for your smile and coordinate with your primary care physician in severe cases. If you are interested in our preventative dentistry services, please feel free to call our Gahanna dental practice at (614) 475-7580. Dr. 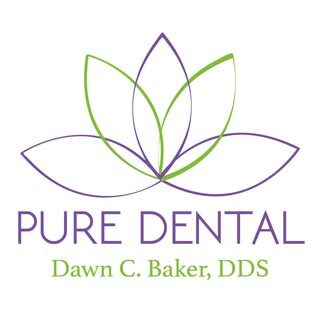 Dawn Baker DDS is dedicated to helping patients achieve their best smiles.